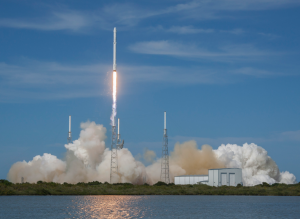 SpaceX isn’t wasting time when it comes to attempting another successful rocket landing. For east coast viewers, you can watch SpaceX’s Falcon 9 rocket launch at 1:21 a.m. early Thursday morning from Cape Canaveral, with a Japanese satellite on board. The plan is for the satellite, from Japanese telecommunications company SKY Perfect JSAT, to eventually settle in space above Japan and Australia. The satellite is expected to improve coverage for Perfect’s broadcasts in parts of Asia, Russia and even as far east as Hawaii. Of course, as is normal with SpaceX, Elon Musk and company will once again attempt to land the first stage of its Falcon 9 on a drone ship off the coast of Florida after completing the satellite mission. Unlike the reusable rocket’s last successful barge landing, SpaceX officials aren’t going into this attempt with much confidence. However, I would never count out Elon Musk and SpaceX when it comes to doing the unlikely or even the impossible at this point.